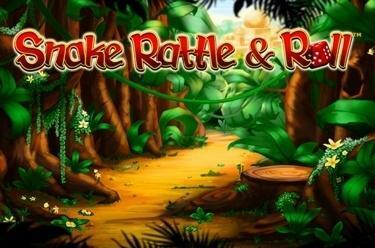 Play Snake Rattle & Roll™ online for free now! Snake Rattle & Roll™ takes you on a journey to faraway India where you can observe the snake charmer while he arranges the symbols in the right order with great skill and patience. 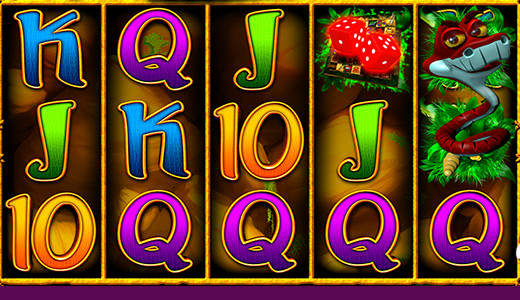 With a little luck he invites you on his journey across the reels where you can win additional bonuses as well as a jackpot and you will be showered with Extra-Wilds in the ensuing free games! Your objective in Snake Rattle & Roll™ is to line up 5 matching symbols along one of the 20 win lines that run from left to right. The red snake that - as a Wild - substitutes for all symbols and increases your winning opportunities and the dice are bonus symbols: The Snakes-and-Ladders-Feature is triggered if 3, 4 or 5 of them appear on the reels. When the red snake (Wild symbol) lands it wriggles in a random direction on the reel set. Meanwhile, it replaces any symbol it touches with a Wild symbol. Only the dice symbols are exempt. The snake charmer can with his flute randomly lure further Wild symbols onto the reels during a spin. These are held in their positions until the spin ends. The Snakes-and-Ladders-Feature is triggered if you land 3 to 5 dice symbols. In this feature you can move the snake charmer along a playing field made up of bonus symbols by rolling the dice. The number of your dice rounds is determined by the number of dice symbols triggering the feature. Click on 'Start' to activate the bonus feature. How far the snake charmer climbs up the playing field on the ladders depends on the number of points rolled. The bonus symbol he comes to a stop on shows your winnings: You either receive further dice rounds and instant wins or additional Spins and Wilds for the free games starting after the feature. The number of Spins and Wilds won can be seen above and to the right of the playing field. If no more dice rounds are left the Snakes-and-Ladders-Feature ends and the free games begin. You win the progressive jackpot if the snake charmer moves to the very top of the playing field! You can choose between 3 different free game variants following the end of the Snakes-and-Ladders-Feature: You can either play with 20, 30 or 40 lines. How many free game rounds you can play in the individual versions depends on the number of rounds played during the Snakes-and-Ladders-Feature. You can view the relevant number above the individual free game versions. Simply click on the version you would like to play and the free game feature starts. You collect snake baskets that only appear on reel 5 during the free games. If you have landed 5 baskets you can pick one: It conceals a number that will be added to your remaining free game rounds. There is only one way to crack the progressive jackpot: You have to move the snake charmer to the very top in the Snakes-and-Ladders-Feature! The current amount of the jackpot is shown in the display to the right above the reel set.